Former Manchester City forward Trevor Francis has insisted the signs from the Citizens' defeat at Newcastle United on Tuesday looked disturbing. Pep Guardiola’s men were handed a shock 2-1 defeat on Tyneside in the Premier League on Tuesday, as the Magpies climbed out of the relegation zone. The defending champions got off to a flying start after breaking the deadlock through Sergio Aguero within the first 25 seconds at St James’ Park, but conceded through Salomon Rondon in the second half before Matt Ritchie sealed the win from a penalty. In the wake of their excruciating defeat to Newcastle, Francis has questioned the mentality of the Manchester City players during the trip to Tyneside. 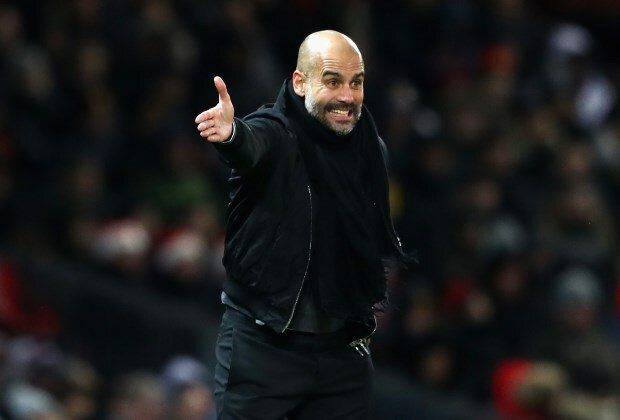 The former Manchester City forward claimed the players showed little enthusiasm after taking an early lead and insisted the signs from the defeat look disturbing. “I didn’t like the attitude of one or two Manchester City players today. I didn’t think they played with enough enthusiasm and enough energy”, Francis said on beIN Sports after the match. “Saturday was too easy, they strolled through that game against Burnley and they have gone on to the field tonight expecting a similar kind of performance. “They were a bit surprised by the application of Newcastle, but they had such a great start. Manchester City’s defeat now means that Liverpool can establish a seven-point lead at the summit of the league table, if they beat Leicester City at Anfield this evening.